It might be the most important page you ever build. Yet how many marketers pay enough attention to their lead capture page? This page—which you can also call a landing page—is a critical decision point for anyone visiting your website. 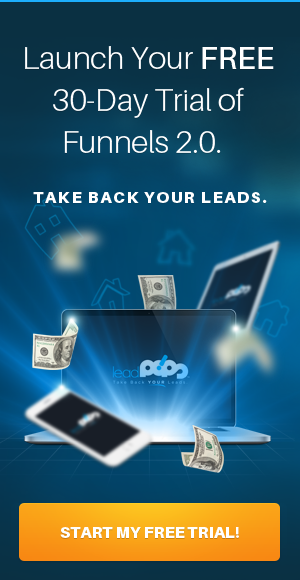 It’s the point at which they decide to change from a mere visitor into a genuine, potential lead for your business. It’s integral that you get this right. Yet not many mortgage or real estate professionals in your position know how to do this right off the bat. And that’s okay. A headline grabs your attention. A headline compels you to read more. A headline intrigues, mystifies, and makes you want to keep scanning what’s in front of you. At least—a good headline does. Your headline should be more than a topic sentence. It needs to have a compelling element—some sense of mystery or storytelling—if it’s going to be truly effective. Wow. Great. You’ve successfully introduced the idea that a visitor to your website can use a mortgage calculator you’ve put together for them. But you haven’t done anything else. You haven’t introduced any spice or excitement. You haven’t hinted at the possibility that all their concerns might have finally come to a conclusion because they’ve found the solution you’re about to provide them. It might not be a complete headline, but notice the subtle change introduced by just a few extra words. “Savings” instead of cost suggests that by using this calculator, an individual can save money. Suddenly, the potential lead finds themselves in a different position. Rather than simply using a mortgage calculator, they’re now looking for a solution to their problems. This simple switch can help a visitor adopt more of a “lead” mindset—and it only took a few adjusted words in the headline to make that possible. When you capture a lead, there needs to be at least some mechanism in place that changes a visitor into a potential lead. Most often, this is an email capture form. What you want to do here is minimize “friction.” Friction refers to the difficulty someone has when they want to engage with you. If you constructed your capture form the right way, it should be very easy to fill out their information and become a lead. Visual distinction. Is it easy to see where the potential lead might be able to enter in their information and move forward? If not, this alone can cause a higher bounce rate than is necessary. Make sure that any information box you use has distinction from the rest of the page. This will make it easier to see. Where is the form on your site? Is it above the fold and easy to spot? Or does the visitor have to work to find it? Make sure you reduce “Friction” by making it easy to spot the lead capture form itself. Point it out! Sometimes, you have to make it more than obvious where your capture form is—you have to make it unmistakable. You can do this by including visual elements like arrows to make their next step even more obvious. Use bright, contrasting colors to make the element “pop” even more. This is especially distinctive on a site that’s otherwise without vibrant colors. Why should someone give you their email address? Why should they present their information to you? That’s where the incentive comes in. When a visitor is browsing the Internet and looking for information on saving money on mortgages or insurance, they’re working out of self-interest. They have a problem they need solved. Simple as that. An incentive should be related to this problem, offering a “sweetener” that might provide them with a reason for giving out their email address. In some cases, this incentive can come in the form of a free email download. In other cases, an email address can be a way for the customer to sign up to use a free mortgage calculator. In either case, you’ll provide some form of incentive for someone to click forward. The great thing about these incentives is that they’re very easy to provide. Once you set it up just once, the incentive can work time and time again for new visitors to your site. For example, if you use access to a free email download as the incentive, you only have to make sure that it’s still up and running. As more and more visitors funnel to your site, they can continue to download over and over again. Incentives are very easy from your perspective—yet they can make all the difference in whether a visitor chooses to become a true, genuine lead. It’s the “Location, location, location” of the online world. But what is persuasion in the context of a lead capture page? You’ve already read some of it—for example, providing an incentive can be a massively persuasive way to get someone to move forward with your lead capture form. But you should also try to adopt a new mindset as you look at this page. What would someone who is visiting your site for the first time need to give you their email address? Trust is one of the great underrated elements of online persuasion. Think of how easily customers purchase from Amazon with a few clicks and nary a thought—because they have an established relationship with the retailer and enough trust to carry it through. You don’t have that advantage. You’re new. You have to work in trust elements to earn it. Problem-solving. Are you about to solve the problem of the people reading your site? If so, you might have to tell them that directly. People came to your service because they want something—and if you don’t understand that you have to at least hint at your ability to provide that solution, you won’t do as good a job with persuasion as you otherwise could. Include testimonials from other clients to demonstrate that you have, in fact, solved this same problem for other people in the past. This one element can not only instill trust, but will demonstrate that you’re not just some mindless entity on the Internet—you’re a real service provider who’s helped real people. 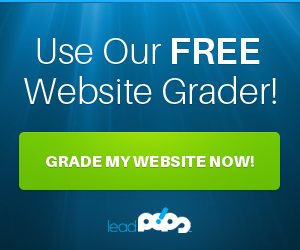 To get started on the road to creating a better way of capturing leads, start a free trial of leadPops today.